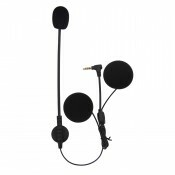 NEW interchangeable microphones – allows you the choice between a boom microphone for open face or flip-face (convertible) helmets, or a button microphone for full face helmets. The LX-R6 is a full-duplex stereo Bluetooth wireless headset designed for installation into most open face, convertible flip-front, and full face motorcycle helmets. 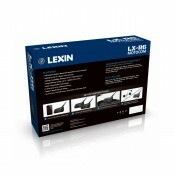 These headsets are suitable for large groups of up to 6 riders with 1000 Meter range. 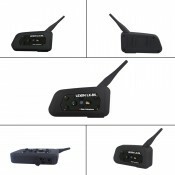 Bluetooth v2.1 connectivity to listen to music, receive turn-by-turn voice navigation, and make/receive calls via Headset Profile (HFP), Hands-Free Profile (HFP) and Advanced Audio Distribution Profile (A2DP). Full duplex rider-to-rider communication with a range of 1000 meters (over 1/2 mile). 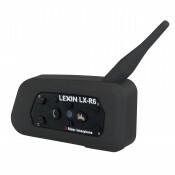 The LX-R6 is designed to keep you connected to your passenger or up to 5 riders over longer distances for voice conversations with a 1000 meter (over 1/2 mile) range. Share the experience, warn of upcoming hazards, or just carry on a regular conversation with your riding partners. 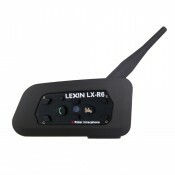 With the LX-R6 and a Bluetooth enabled mobile phone, you can call hands-free, listen to stereo music, and get voice instructions for GPS navigation wirelessly. With multiple LX-R6 units, you can have intercom conversations in full duplex with up to 5 other riders in a group, and talk between any 2 riders at a time. 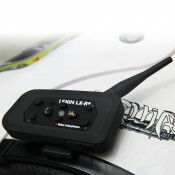 The LX-R6 is enabled with Bluetooth v2.1, and supports the Headset Profile, Hands-Free Profile (HFP), and Advanced Audio Distribution Profile (A2DP). Please check with the manufacturers of other devices to verify compatibility with this headset. Superior audio fidelity has been achieved with our wide-range, non-ported, ultra-slim helmet speakers. 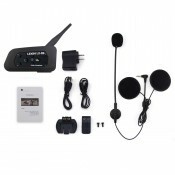 This headset also provides the best combination of wind and ambient noise reduction with the miniature boom microphone. 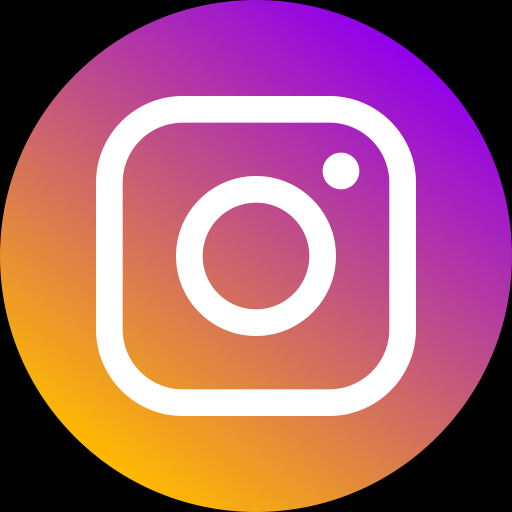 The main unit is powered by a rechargeable Lithium Ion/Polymer power cell providing 8-12 hours of use, and 150 standby hours, and from a full charge. The LX-R6 also includes a 3.5mm line-in for an external audio device if you have a music player or GPS that is not Bluetooth enabled. The LX-R6 will fit onto various types of helmets using the included bracket and clamp. Slide the clamp between the shell and EPS cushion, and secure to the bracket with the included screws. Tighten securely using the included tool. If desired, the 3M Scotch double-sided adhesive may be used to affix the bracket directly to the surface of the helmet. The adhesive backed speaker covers will securely hold the speakers in place within the speaker pockets of most helmets behind the cushions. 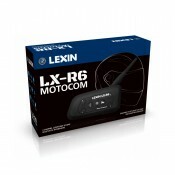 The LX-R6 offers peace of mind in your purchase with a 1-year warranty. See the warranty information in the manual for full details.